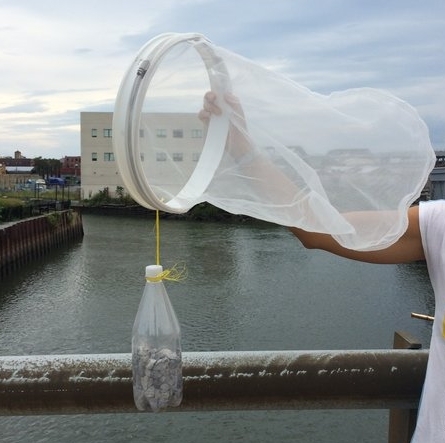 How to Make a Trawl to Scoop Plastic Pollution #CitizenScience #DIY #3dprinting #science #water #plasticpollution « Adafruit Industries – Makers, hackers, artists, designers and engineers! This week I joined Public Lab’s Open Hour for a discussion about plastics in the ocean and was blown away by DIY trawls. Barent Roth gave a presentation on the need for citizen scientists to collect and track plastic debris, which is now being called smog, in our waters. Not only is the plastic breaking up into micro particles, but it travels long distances presenting a danger for all life. Barent is the founder of Testing Our Waters, an organization that is using design and community engagement to reduce plastics in waterways. 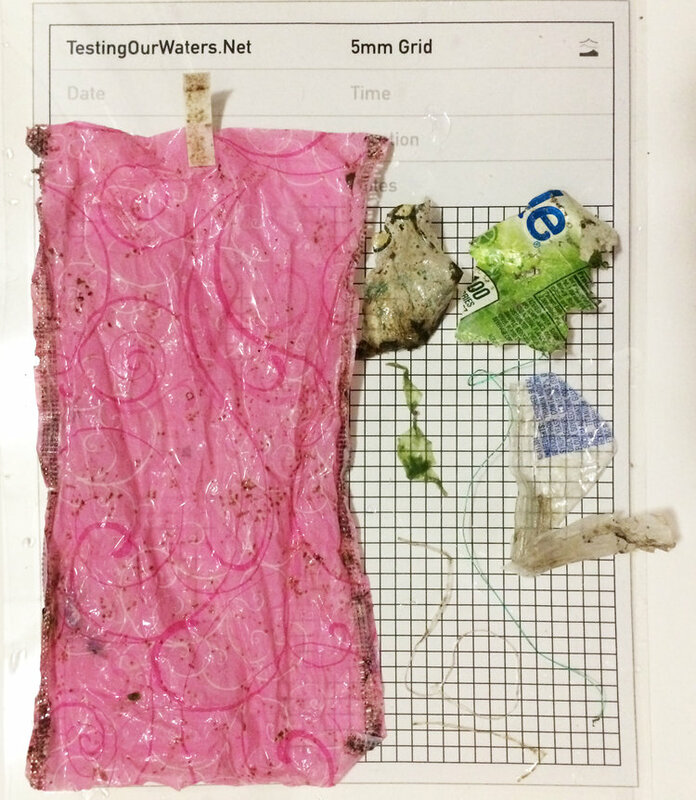 So far the team has created multiple trawl designs, including 3D printed elements, recycled bottles and even lumber. The designs take into account the method of trawling, which can vary depending on the user. The device pictured is appropriate for a boat or fixed strong current. Another interesting design that utilizes the rim of a 5 gallon bucket is perfect for bridge trawling. 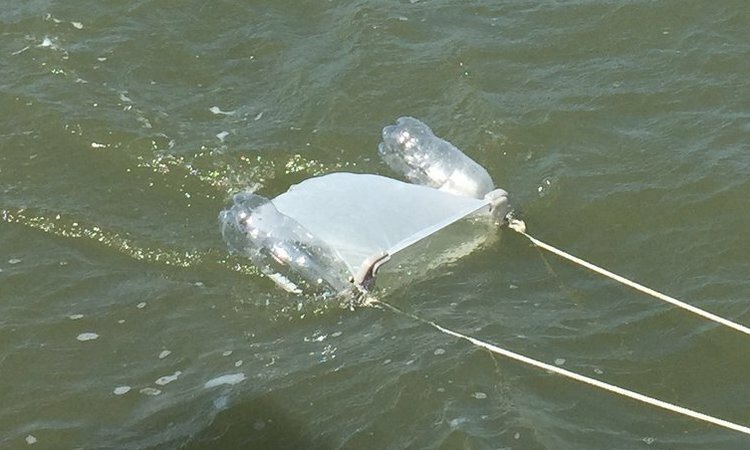 Testing Our Waters has created Instructables for their trawl designs, and they are putting the finishing touches on a 3D printed model that is under $15. Of course the real goal is getting people out in the water to collect samples and to document their finds. The team’s website does a good job of explaining the process of cleaning the plastic pieces and arranging them on a grid for photographing. Finished trawl-trash pics can be uploaded onto the site while pics of trawling can be posted on their Facebook. So, if you are considering your summer vacation or family trip to the shore, this could be the perfect project. Whether you enjoy motor boats, kayaks, canoes or just standing on the side of a bridge, there is a trawl for you. So, get those tools out—connect with the water, educate your family and friends and take the first step in reducing the plastic in our waters.